“Your prompt for January 22nd, 2018, brought to you by the friendly and nautically inclined Capt Jill, is “Liberty.” Use it any way you’d like in your post. And make sure you visit Jill at her blog, “Capt Jills Journeys” to read her post and say hi! 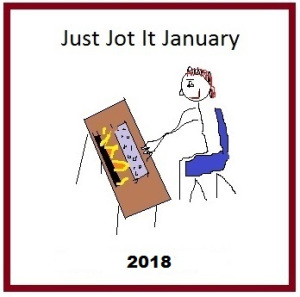 Here’s her link: https://captjillsjourneys.wordpress.com/” (https://lindaghill.com/2018/01/21/jusjojan-daily-prompt-january-21st-2018/) These Jots are not only my 500-words a day challenge, but also part of my Ultimate Blogging Challenge challenge (http://ultimateblogchallenge.com). Liberty, eh? I don’t think I want to write about this today. It’s a touchy subject for a lot of people, and I am not feeling at liberty to post on how I feel about liberty today, especially as it relates to work. Sorry, Captain Jill. I just don’t have it in me today to talk about liberty. Except, to say that I feel amazingly fortunate to live in Canada these days. Yeah. So, this is also one of those days when I do not feel like writing, but I guess that’s when you need to do it. I should also mention that I don’t feel like exercising today either, and it works the same for exercise – you should definitely do it when you don’t feel like it. However, today I will skip the exercise and do the writing. Just so I do something! What am I going to write about? Have you had days where you felt like for every step you moved forward, you were forced 2 steps back? That was today. I was in a crappy mood when I went to work this morning, and although I got a lot done and felt less grumpy when I went home than when I arrived, I felt completely frustrated and at a loss as to how to even react to some of the stuff that happened. On the bright side, I have a workout scheduled for tomorrow morning, so that should help my mood at work. Oh, it won’t make work itself better, but at least I will feel like I’ve accomplished something before even getting to work. And on the other bright side, I am making chili for supper. The ultimate comfort food for me. I am SO looking forward to filling my plate!! How many words it this now? Only 300? Man! How am I ever going to get to 500 today? Let’s see. What else happened today. Might as well make this a journal entry and then you all get a glimpse into my day. It was raining this morning, but then cleared up for most of the day, with a reasonable temperature. Have I said how much I love living in a place (in Canada) where January is spring? Constantly amazing and happy-making seeing plants blossom at this time of year, and no snow anywhere to be seen (there is snow elsewhere on the island, but not here)! If I had the liberty to choose where I lived, it would be here – Victoria and Canada! Luckily we did have the liberty to choose our city about 11 years ago when Kevin became an optometrist for his second career. Canada wasn’t a choice for me, but I wouldn’t live anywhere else right now. I should also mention how lucky I am to have the work colleagues I do. Salt of the earth, and amazingly supportive. 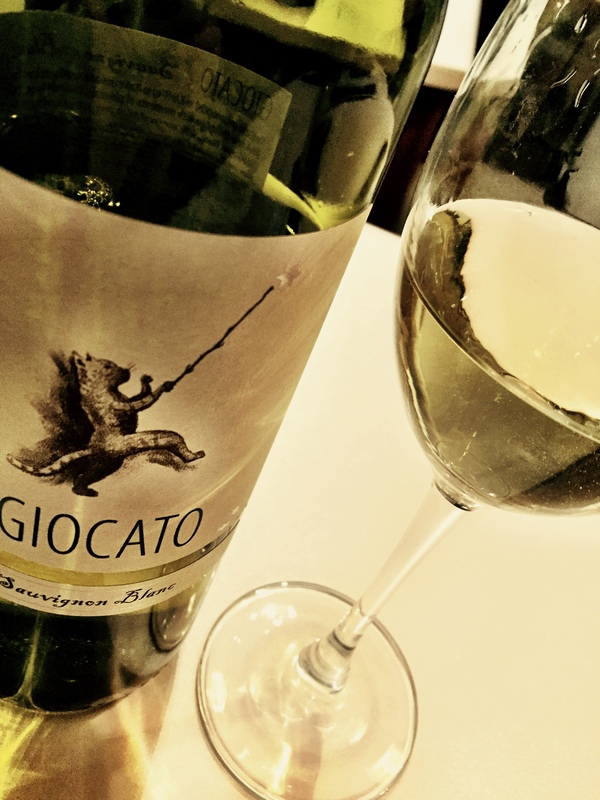 Plus, Bob always lets me know what wines I should be buying, which is what he did today (a Slovenian Sauvignon Blanc) which I picked up on my way home from work, and am enjoying right now. Doesn’t get better than that! Thanks Bob. Posted on January 22, 2018, in Writing and tagged JusJoJan. Bookmark the permalink. 7 Comments. You’re definitely better off in Canada than further south! And I wouldn’t wish the Westminster lot on anyone. Now Bob, he sounds a good sort of colleague to have. I’m sorry you had such a day. If it’s any consolation, my day was rotten, too. I can’t imagine how much worse it would have been if I hadn’t gone to work early yesterday to prepare for this day. Tomorrow will be better for us, both, right? If not, I may break out some wine myself. And bubble bath. Also, If Not, Kittens and Doors will come! Tomorrow will definitely be better than Monday and Tuesday ’cause I’m working at home! Hope you have a good Wednesday. Wednesday was meh. I’m glad you got to be home! It would’ve been a great day at home for me today – bad weather, bad driving, schools closed.